India is a land Known for its antiquity. Its heritage is expressed in its cultural and architectural traditions, which have transcended time and space to remain alive and appropriate even in the present. Gujarat in western India is a place with many historical monuments, the step-wells, especially the one at a place called "Patan" is truly a store-house of the rich cultural and religious heritage of India with stunning architectural grandeur. Ranki Vav also called as Rani-ki-Vav, the step-well at Patan in Gujarat State was constructed by Queen Udyamati in the AD 11th century. The Indian art of Ranki Vav is born of deep understanding of the divine glory. The sculptures explain all aspects of life and the eternal wisdom of divinity is explained and shared with the viewers. A casual look at these sculptures may indicate that the figures of apsaras are dancing figures. But a detailed examination and analysis convey a deeper philosophical message. It is a sincere attempt to relate physical health to spiritual well-being. This book gives a brief introduction to the historical background and the purpose in creating this monument. The first chapter is about the external appearance of the apsara; sculptures, the pillars and the symbols, which are present in an apsara sculpture unit. In the second chapter, an attempt is made to discuss the various healing therapies that were practised in those days for conditioning the physical body, and how and when therapies like acupressure got merged with Indian ayurvedic principles. It also explains the science of Mudra vignanam (the science of sacred hand gestures) and its usages to establish equilibrium in the body. The third chapter gives a brief introduction to the vast and sacred philosophy of 'Kundalini' power and how this abstract thought is conveyed through sculptures. The fourth chapter gives some clues towards easy understanding of the apsara sculptures. The philosophy of 'Kundalini', and the various Gods and Goddeses of sakti are beautifully carved in this monument. In chapter five, around 50-55 apsara sculptures are described for the physical problem that is indicated, the diagnosis and the remedy for it as indicated in every sculpture and the level of mental awareness that is associated with the actions. Ranki Vav thus reflects the Hindu mind in its religious, spiritual and medical aspects. The mysterious ancient Indian culture with its varied facets of life and love for art combined with spirituality can be seen at its peak in Ranki Vav sculptures. Rekha Rao has a masters degree in Indology from Manasa Gangoti-Mysore, India. Her interest in the temple sculptures has made her visit and study various temples in India. Rekha Rao is an accomplished dancer in Bharatanatyam style and has enriched her knowledge by studying Kathak and Kuchipudi styles also. She has given several performances and choreographed dance items in India and abroad. She has the honour of 'Natyaratna' from The Academy of General Education, Manipal. She has also studied karnatic instrumental music veena, attaining proficiency level. Rekha Rao is widely travelled, enjoys studying historical monuments. Gujarat is famous for its ancient art and architecture. There are several temples ranging in date from the fifth to fifteenth century AD, some of which, despite vandalism, have retained their glory to this day. Among medieval temples the Sun temple at Modhera, the Rudramahalaya at Sidhpur, the Jain temples o Dilwara and Palithana are famous. Some early historic temple at Gop, Roda, the Sun temples at Sutrapada and Saiva temples of Miyani also deserve mention. Gujarat can boast of modern temples also, for examples of Miyani also deserve mention. Gujarat can boast temples also, for examples the Saminarayana temples at Ahmedabad and Dwarka and the Siva Temple at Somanath. The Solanki (Chalukyan) kings paid equal attention to the construction of temples as well as fort walls and gateways irrigation tanks and stepwells and embellished them with beautiful sculptures. The Gateway of Dabhoi (Darhavati), near Baroda and the stepwell and the irrigation tank Sahasralinga Talav at Patan speak volumes about ruler's interest in combining aesthetics with utility. During my long tenure of twelve years first as Assistant Director of Archaeology in the erstwhile Baroda State and subsequently as Superintending Archaeologist of the Archaeological Survey, I had an opportunity to study and conserve the art and architectural edifices of Gujarat, and interact with the traditional Sthapatis of the Sompura family. Recently Mrs. Rekha Rao, an exponent of Indian classical dances came to me to discuss certain aspects of the dance forms depicted in the Madanika sculptures of the Channakesava temple of the Hoysalas at Belur in Karnataka. Her indepth study of these sculptures and knowledge of ancient texts such as Natyasastra of Bharata and the Dasarupaka suggested that the Madanikas are more interpretative of a theme than depicting the techniques of pure dance movements. Her keen observation and sound academic knowledge suggested various stages of the Madanika preparing herself before appearing on the stage. She also noticed that two out of nine sentiments (rasas) are not depicted in Belur Madanikas. Being impressed by Mrs. Rao's indepth study of apsara figures, I suggested that she should visit Ranki Vav (Queen's stepwell) at Patan where recently hundreds of beautiful sculptures in situ are exposed to view as a result of the excavation of the stepwell, which lay buried under the flood silt of the "Sarasvati" river at Patan in Mahesana District of Gujarat. 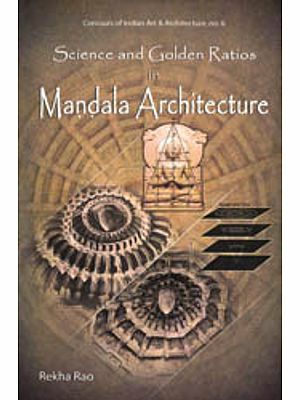 I must mention in this connection the scholarly work done by Dr. Kirit Mankodi in studying the sculptures of various gods and demigods. After a careful study of the female figures of Ranki Vav, Rekha Rao found that the Apsara figures do not represent dance techniques but convey a new theme namely alternate therapies for the maintenance of the physical and spiritual health of man through the practice of Mudra Vijnana and Kundalini Cakras. She has further noted that many of the sculptures depict a state of imbalance in physical health and remedies for them. The importance of depicting Kundalini-sakti in restoring spiritual health is also noteworthy. Rekha Rao has supported her observations about the state of mental and physical fitness, ailment and remedies depicted in Apsara sculptures with technical details and illustrations from texts on acupressure treatment and Mudra-vijnana, besides sahaja-asanas (stretch exerciese) and Ayurveda. An important source of information for acupressure treatment as depicted in Apsara sculptures is Dr Dhiren Gala with Acupressure book Be your own doctor. I hope both the medical profession and the art historians will welcome the hitherto unknown aspect of Indian sculptural art, which is brought to light by a study of the apsara sculptures in Ranki Vav and explained here by Rekha Rao. She has highlighted how aesthetics and medical remedies were very well blended by the intelligent handing of the subject by the renowned sculptors of Gujarat. The author is perhaps justified in calling the Ranki Vav apsaras as "Medical Sculptures".